Join us live Thurs. 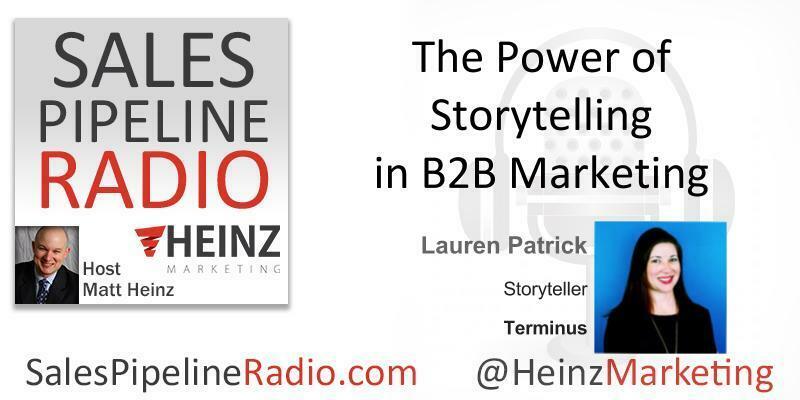 1/18/18 11:30 am PT (12:30 MT, 1:30 CT, 2:30 ET) when we are joined by Lauren Patrick, Storyteller at Terminus. Check back here no later than 1/23 for the on-demand recording or find the recording and transcription on the Heinz Marketing Blog on Mon. 1/29/18. Lauren Patrick is the Storyteller at Terminus, and Editor at PrettySouthern.com. She was employee #12 at Terminus, the leader of the account-based marketing (ABM) movement, and joined the company in 2015 right after they raised their seed round. Today, the company has more than 120 employees, 400 customers, and rapidly growing. Lauren is a graduate of the University of Georgia's Grady College of Journalism & Mass Communication, she discovered her passion for niche marketing during her time as editor of UGA's newspaper, The Red & Black. Before coming into the digital world, she worked for print publications Gwinnett Daily Post, Jezebel Magazine, AutoTrader.com, plus managing the Services category for RaceTrac Convenience Stores.